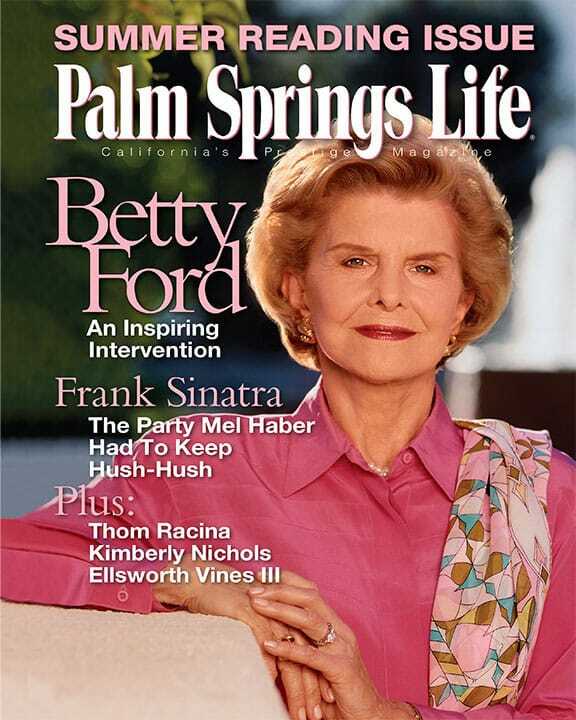 ON THE COVER — Betty Ford. Photography by Douglas Kirkland/Corbis. 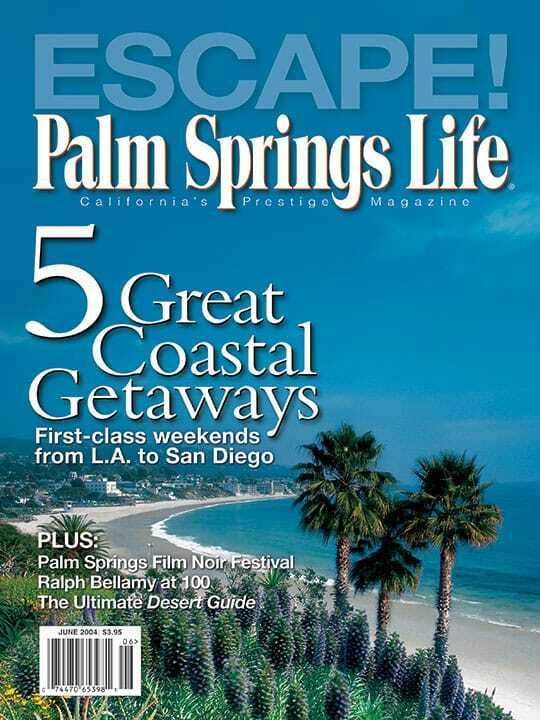 By Martin J. Smith and Patrick J. Kiger. Personal confessions went from anonymous whispers to public declarations to a steady roar on the talk show circuit. It began on April 1, 1978. In this adaptation from his book Bedtime Stories of the Legendary Ingelside Inn, Mel Haber recalls his first encounter with Frank Sinatra. 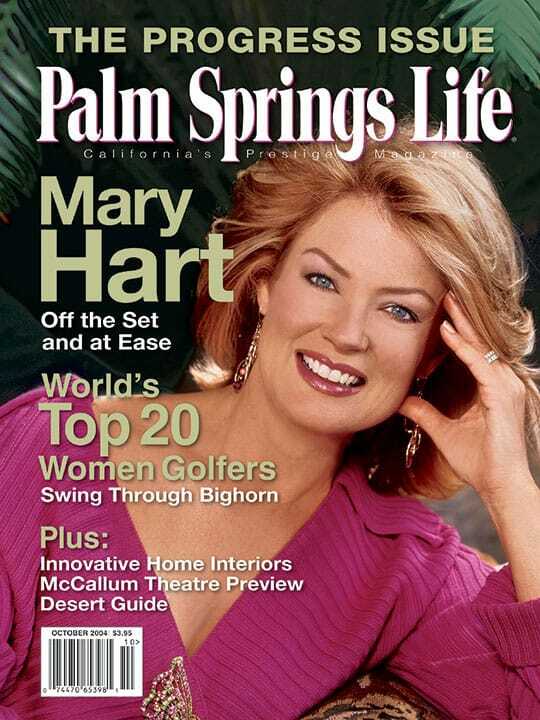 Tamarisk Country Club’s first head golf pro was an all-around athlete — an international tennis champion and golfing buddy and neighbor of celebrities and presidents. The remarkable story of Ellsworth Vines vividly recounts the four summers leading to his Wimbledon title, which catapulted the shy 17-year-old from obscurity to the cover of Time and the Wheaties cereal box as its first champion. 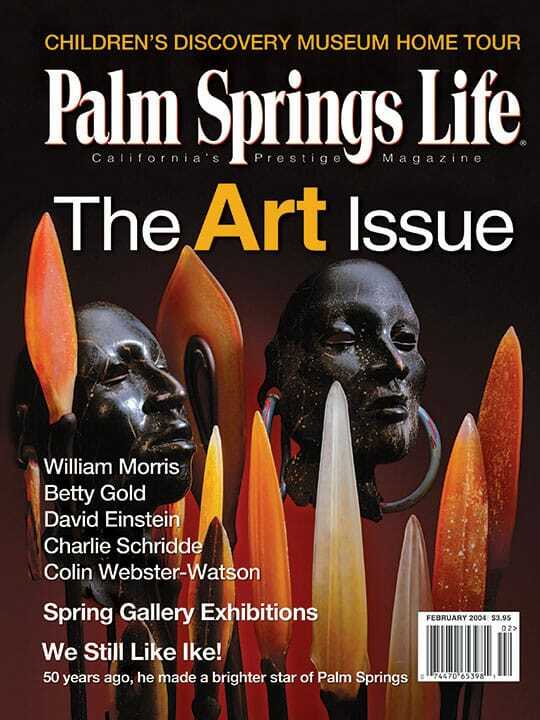 In an exclusive excerpt from her book Mad Anatomy, Palm Springs author Kimberly Nichols reveals the improbable aesthetic in one of the world’s most perplexing killers.